New LRRK2 results: Game changer? Millions of dollars in research funding for Parkinson’s has been poured into the biology and function of just one hyperactive protein. It is called Leucine-rich repeat kinase 2 (or LRRK2). Genetic mutations in the gene that gives rise to this abnormal version of the protein can leave carriers with a higher risk of developing Parkinson’s. All of that research funding has resulted in an incredible leap forward in our understanding of LRRK2, which has further led to clinical trials focused solely on LRRK2. Mutations in the LRRK2 gene occur in only 1-2% of the Parkinson’s population, however, which has led to some complaints that too much research is being focused on only a small fraction of the people affected by PD. New research published this week could silence those complaints. In today’s post we will discuss a new report suggesting that independent of any genetic mutations, LRRK2 may actually play a role in idiopathic (or spontaneous) forms of Parkinson’s, which means that the treatments being developed for LRRK2 could be beneficial for a wider section of the PD community. You may have hear of him – he was one of the founders of a small company called “Google”. Having changed the way the world searches the internet, he is now turning his attention to other projects. One of those other projects is close to our hearts: Parkinson’s. Why is he interested in Parkinson’s? This week Denali Therapeutics released the results of a phase I clinical trial of their primary product, called DNL-201. DNL-201 is a LRRK2 inhibitor that the company is attempting to take to the clinic for Parkinson’s disease. In today’s post we will look at what LRRK2 is, how an inhibitor might help in Parkinson’s, and what the results of the trial actually mean. Denali (Koyukon for “the high one”; also known as Mount McKinley) in Alaska is the highest mountain peak in North America, with a summit elevation of 20,310 feet (6,190 m) above sea level. 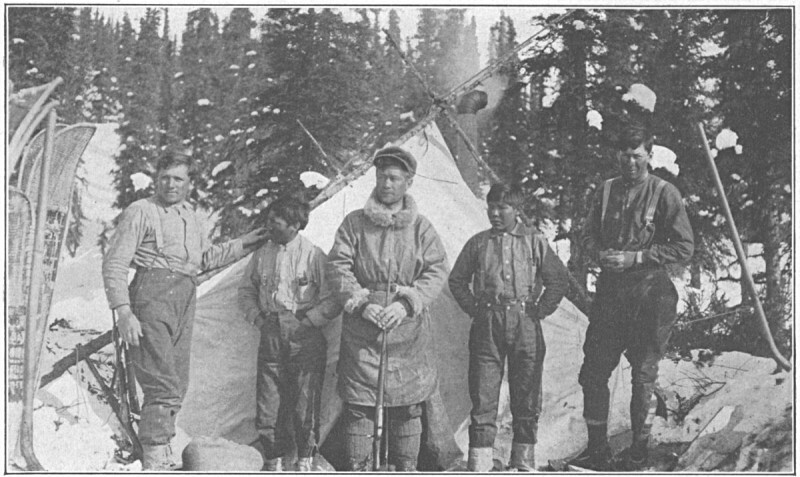 The first verified ascent to Denali’s summit occurred on June 7, 1913, by four climbers Hudson Stuck, Harry Karstens, Walter Harper, and Robert Tatum. More recently another adventurous group associated with ‘Denali’ have been trying to scale lofty heights, but of a completely different sort from the mountaineering kind. Genetic mutations (or ‘variants’) in the Leucine-rich repeat kinase 2 (or LRRK2; also known as Dardarin) gene are associated with increased risk of Parkinson’s. As a result this gene has become the focus of a lot of genetic research. But what about LRRK2’s less well-known, rather neglected sibling LRRK1? In today’s post, we will look at new research that suggests the LRRK siblings could both be involved with Parkinson’s disease. Inspired by a poem of the same title, English composer Ralph Vaughan Williams wrote ‘The Lark Ascending’ in 1914. It is still to this day, a tune that remains a firm favourite with BBC listeners here in the UK (Source). While the music and the poem are about a songbird, today’s SoPD post deals with a different kind of Lark. Or should I say LRRK. He was one of the founders of a small company you may have heard of – it’s called “Google”. One of those other projects is close to our hearts: Parkinson’s disease. We have previously discussed the powerful antioxidant Resveratrol, and reviewed the research suggesting that it could be beneficial in the context of Parkinson’s disease (Click here to read that post). I have subsequently been asked by several readers to provide a critique of the Parkinson’s-associated research focused on Resveratrol’s twin sister, Pterostilbene (pronounced ‘Terra-still-bean’). But quite frankly, I can’t. Why? Because there is NO peer-reviewed scientific research on Pterostilbene in models of Parkinson’s disease. In today’s post we will look at what Pterostilbene is, what is known about it, and why we should seriously consider doing some research on this compound (and its cousin Piceatannol) in the context of Parkinson’s disease. So this is likely to be the shortest post in SoPD history. Because there is nothing to talk about. There is simply no Parkinson’s-related research on the topic of today’s post: Pterostilbene. And that is actually a crying shame, because it is a very interesting compound. Like Resveratrol, Pterostilbene is a stilbenoid. Stilbenoids are phytoalexins (think: plant antibiotics) produced naturally by numerous plants. They are small compounds that become active when the plant is under attack by pathogens, such as bacteria or fungi. Thus, their function is generally considered to part of an anti-microbial/anti-bacterial plant defence system for plants. 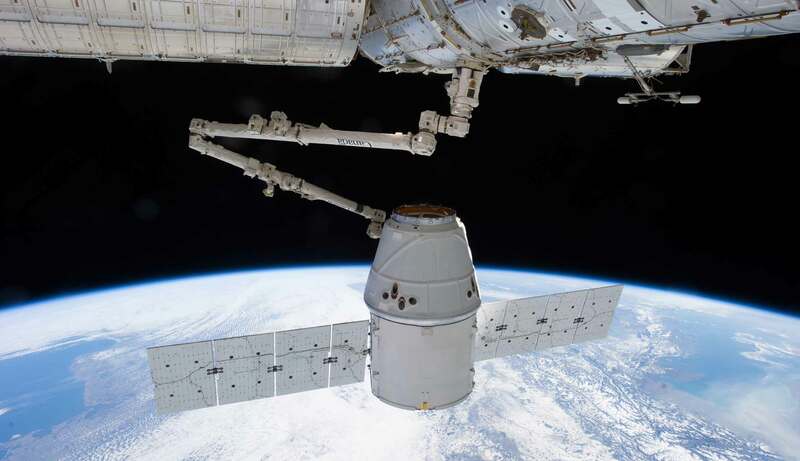 Last Monday, a SpaceX rocket lifted off from the Florida peninsular on route to the International Space Station. On board that craft was an experiment that could have big implications for Parkinson’s disease. It involves a Parkinson’s-associated protein called Leucine-rich repeat kinase 2 (or LRRK2). In today’s post, we will discuss why we needed to send this protein into orbit. When you look up at the sky tonight – if you look for long enough – you may well see a bright little object hurtling across the sky (Click here to learn more about how to track the International Space Station). Know that inside that bright little object passing over you there is currently some Parkinson’s disease-related research being conducted. 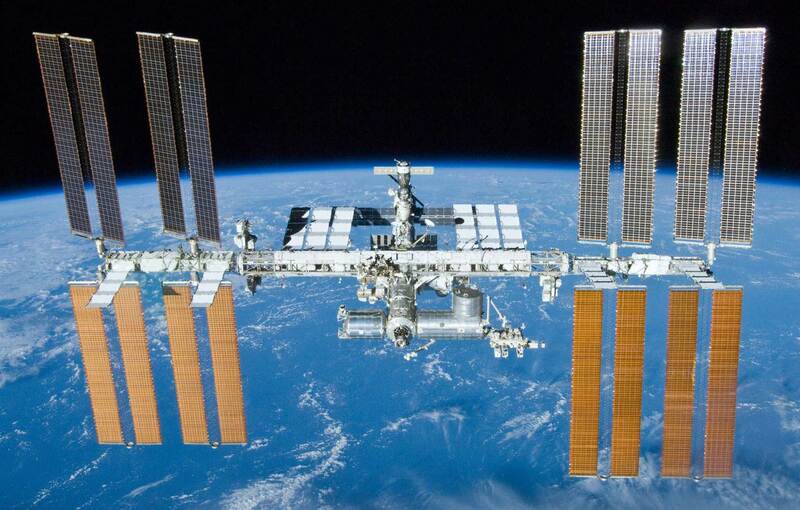 What is the International Space Station? The International Space Station (or the ISS) is the largest human-made object that we have ever put into space. It is so big in fact that you can see it with the naked eye from Earth. The current space station is 73.3 metres (240 feet) long and 44.5 metres (146 feet) wide, weighing approximately 420 tonnes (924,740 lb), and it has been continuously occupied for 16 years and 289 days, making it the longest continuous human presence in low Earth orbit. The ISS travels at a speed of 7.67 km/second, maintains an altitude of between 330 and 435 km (205 and 270 mi), and completes 15.54 orbits per day (it has made over 102,000 orbits!). First approved by President Ronald Reagan in 1984, it was not until November 1998 that the first components of the International space station were first launched into orbit. 36 shuttle flights were made to help build the station. The first crew members took up residence on the 2nd November 2000, and the station was completed in 2011. There is always 6 crew members on board – the current team are Expedition 52 – and it has been visited by 220 astronauts, cosmonauts and space tourists from 17 different nations since the project began. Oh yeah, and if you want to see what it looks like on board the ISS, in 2015 the European Space Agency provided an interactive tour and earlier this year Google Maps added an interactive tour of the ISS. Having brought us ‘Google’, he is now turning his attention to other projects. One of these other projects is close to our hearts: Parkinson’s disease. In 1996, Sergey’s mother started experiencing numbness in her hands. Initially it was believed to be RSI, but then her left leg started to drag. In 1999, following a series of tests, Sergey’s mother was diagnosed with Parkinson’s disease. It was not the first time the family had been affected by the condition: Sergey’s late aunt had also had Parkinson’s disease. Both Sergey and his mother have had their genome scanned for mutations that increase the risk of Parkinson’s disease. And both of them discovered that they were carrying a mutation on the 12th chromosome, in a gene called Leucine-rich repeat kinase 2 or Lrrk2. Not everyone with this particular mutation will go on to develop Parkinson’s disease, but Sergey has decided that his chances are 50:50. Being one of the founders of a large company like Google, however, has left Sergey with resources at his disposal. And he has chosen to focus some of those resources on Lrrk2 research (call it an insurance policy). Also known as dardarin (Basque for ‘trembling‘), Lrrk2 is a gene in our DNA that is responsible for making an enzyme. That Lrrk2 enzyme is involved in many different aspects of cell biology. From cellular remodeling and moving (‘trafficking’) various proteins around in the cell, to protein degradation and stabilization, Lrrk2 has numerous roles. Discovered in 2004, Lrrk2 was quickly associated with Parkinson’s disease because mutations in this gene are amongst the most common in ‘familial Parkinson’s‘ (where an inherited genetic mutation is present in the sufferer; accounting for about 10-20% of all cases of Parkinson’s disease). The most common mutation of LRRK2 gene is G2019S, which is present in 5–6% of all familial cases of Parkinson’s disease, and is also present in 1–2% of all sporadic cases. Curiously, mutations in Lrrk2 are also associated with increased risk of Crohn’s disease and cancer. Given the association with Parkinson’s disease, there have been attempts to develop inhibitors of Lrrk2 as a means of treating the condition. These efforts, however, have been hampered by a poor agreement as to which proteins are interacting with Lrrk2. The goal of the current study was to identify the key proteins that Lrrk2 acts upon. Using various techniques to accomplish their task, the scientists began with 30,000 possible targets and gradually whittled that number down to a small group of Lrrk2 targets. Most importantly, they found that Lrrk2 is deactivating certain proteins that are called ‘Rabs’. The Rab family are heavily involved with trafficking (and that’s not the mafia drug variety!). Trafficking in cells in moving proteins around within the cell itself. And Lrrk2 was found to deactivate 4 Rab family members (3, 8, 10 and 12). This is a very important result as not only does it provide us with novel Lrrk2 targets, but it also offers us an excellent tool with which we can determine if Lrrk2 inhibitors are actually working – a functioning Lrrk2 inhibitor will lower the activity of Rab 3, 8 10 & 12 and this can be measured. The results represent a major leap forward in our understanding of Lrrk2 and a significant return on investment for one Mr Sergey Brin.